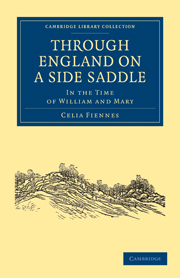 In c17th, when travel for its own sake was unheard of, Celia Fiennes roamed around England on horseback “to regain my health by variety and change of aire and exercise.” Sometimes she travelled with relatives but she made her “Great Journey to Newcastle and Cornwall” of 1698 accompanied only by one or two servants. Fiennes took notes to entertain her family and never intended to publish. So it is lovely that we can now all read her frank, vivid and unvarnished opinions in “Through England on a Side Saddle” as her writings provide an entirely unmannered portrait of the Lake District – unlike later Romantic writers. A full transcript of her journey can be read at the delightful Vision of Britain website created by the University of Portsmouth’s Geography Department. 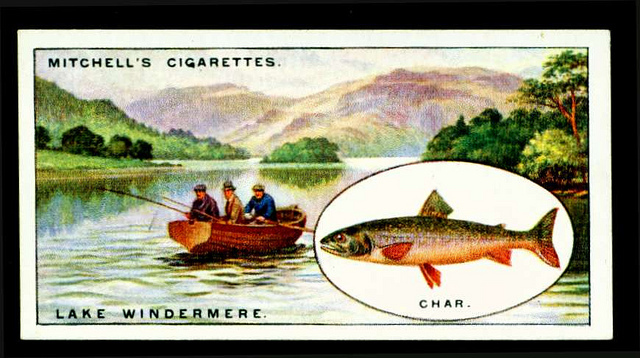 Categories: Cultural Tourism, Lake District Food, Lake District Writers, Local History, Windermere | Tags: Lake District food, local history, windermere | Permalink. Recently a guest asked me for some foodie day trip suggestions – and I immediately thought of Cartmel, a half hour’s drive away from Sykehouse cottage. The village has the famous L’Enclume restaurant run by Simon Rogan (Lunch £45 and Dinner £120) with its sister brasserie, Rogan & Co. And now his empire has extended to the local pub, The Pig & Whistle. It also has a very beautiful priory to wander around. But I bet most people visit Cartmel for the PUDDING. 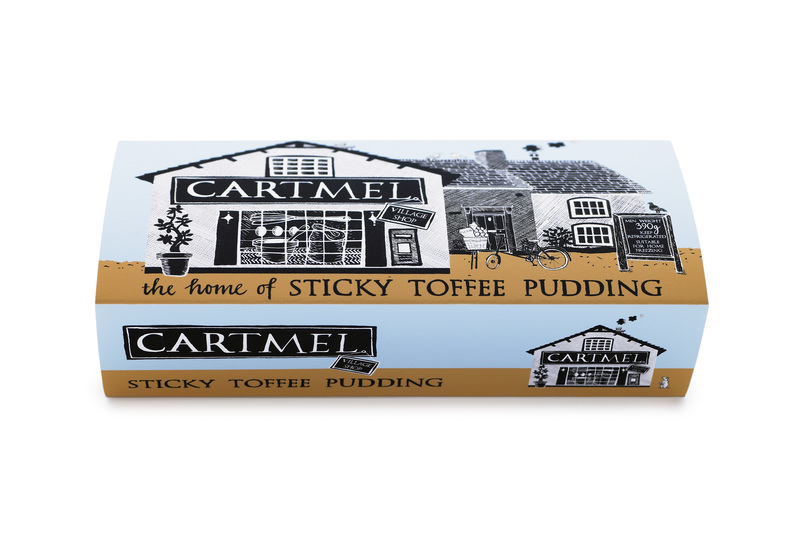 Cartmel Village Shop started baking Sticky Toffee puddings in their back kitchen about 20 years ago. They have now moved to a bigger kitchen but it’s still handmade and there’s still nothing to match it for rounding off a Sunday lunch. If you don’t have a chance to visit, their puddings are sold at the local grocers, Melville Tyson, in Broughton-in-Furness. Look out for their distinctive pale blue packs in the chiller cabinets. And rather wonderfully, they also do mail order from their website here. 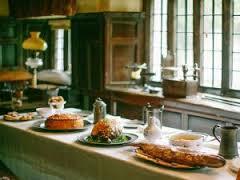 Categories: Lake District Food, Things To Do, Uncategorized | Tags: Lake District food | Permalink. Why not stay at Sykehouse Cottage in early October and sample the wonderful selection of beer on offer at the same time? The Lake District has many small independent breweries and every October there’s a beer festival centring on Broughton town mini buses taking people further afield. 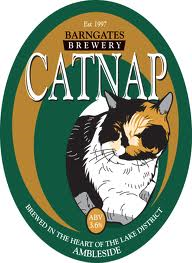 There are usually over 90 real ales available during the event and the pubs will be open all day. Cumberland sausage tends to feature quite heavily in the festival as well. and up the Duddon Valley at Seathwaite, The Newfield Inn. More details can be found on the local website here. Categories: Broughton, Broughton Services, Events, Lake District Food, Local Beer, Things To Do | Tags: beer, Lake District food, sausage | Permalink. ‘We sat on the snow and looked at the country far below us … we nibbled Kendal Mint Cake.’ The famous quotation on the Romney’s bar linking Edmund Hillary’s successful ascent of Everest with eating a toe curling mixture of sugar, glucose and peppermint oil must be one of the most famous and successful celebrity endorsements of all time. We always have a bar or two in a rucksack when we are walking – only when we are walking. It is too sweet to be eating sitting down. However it is very useful when junior members of the tribe are flagging and a pick-me-up is needed. This may also include the who-can-keep-a-piece-in-their-mouth-the-longest competition for added distracting interest. The Museum of Lakeland Life and Industry has just opened an exhibition all about this famous local delicacy: Kendal Mint Cake: On Top of the World running from 19 July right through until 21 December. On 31 August, the Museum is holding Mint Cake Eating contest and an auction of the world’s biggest bar of Kendal Mint Cake which will be broken up and sold in aid of MacMillan Cancer. Further details of the exhibition and how to enter the competition can be found following this link. Categories: Children, Events, Kendal, Lake District Food, Things To Do | Tags: children's activities, Kendal Min Cake, Lake District food, local history, walking | Permalink. Local man and ex chef, Gary McClure, caused quite a stir last August when his 11ft wide coiled sausage arrived in Broughton’s market square. The Cumberland Sausage was cooked on portable barbecues and held by a specially made skillet in a successful attempt to break the World Record for the biggest ever continuous sausage ring. This was filmed by Channel 5 and broadcast in January 2013. Cumberland sausage is a local speciality and each butcher has their own recipe. No one knows how the sausage got its distinctive rope shape and spiced taste. Though there are several speculations. The spices maybe because of the spice ships sailing into Whitehaven during the 18th century when the town was the third largest port in the country. It has been suggested that the coiled loops were just more practical but I prefer the possibility that they were first made by the German miners who came to Cumbria during Elizabeth 1’s reign as a reminder of their Bregenwurst from home. Whatever the true provenance, the Cumberland sausage, it soon became a well established feature on the household menu in Cumbria. Since 2011 the sausage has Protected Geographical Indication status under EU law and so, like Cornish clotted cream and Stilton cheese, it can only be made in Cumbria and be sold in a long coil. So when you come and stay at Sykehouse Cottage, you should pop into Melville Tyson’s, the butchers in Broughton in Furness and buy a length of their own delicious Cumberland Sausage – a perfect teatime treat after a long walk. Categories: Broughton Services, Lake District Food | Tags: Broughton, Lake District food, sausage | Permalink. When Shaun & Christina Bryant took over the bakery in October 2011, the whole of Broughton held their breath. The previous owners, Lara and Darren, had made such a good job of running the bakery and cafe that it quickly became a tourist and local favourite. Broughton is a small town and each business is important to the welfare of the local economy so when we learnt that they were novices at the game, well, there were a lot of raised eyebrows. They have just appeared in ITV’s “Britain’s Best Bakery” winning both the Lake District and the Northern Regional final. How fantastic is that? My personal favourite to take home is their Cheese and Herb Plait – great toasted then spread with butter and Marmite. Categories: Broughton Services, Lake District Food | Tags: Broughton, Lake District food | Permalink.